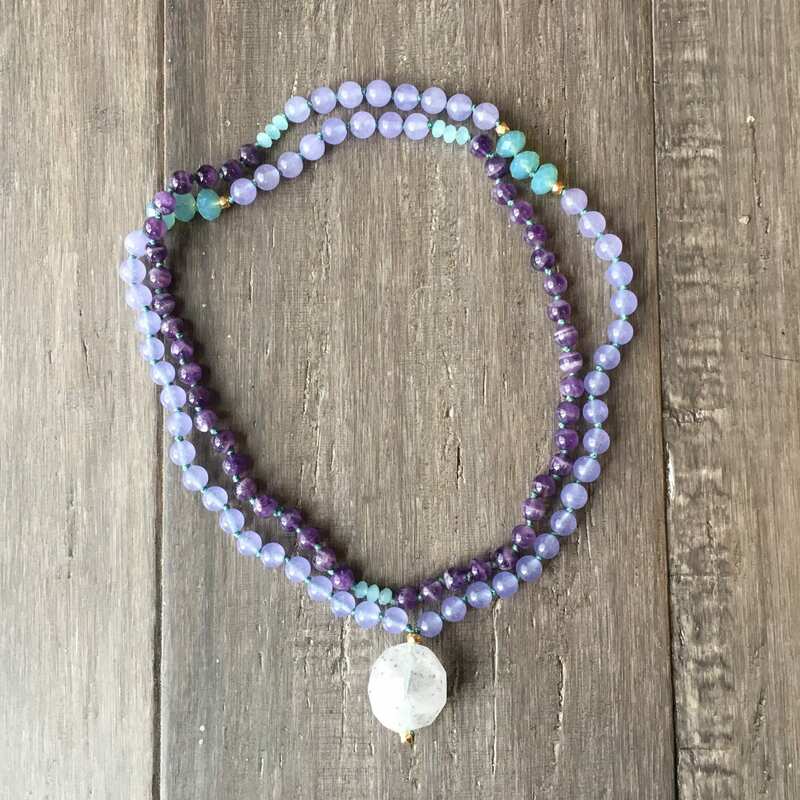 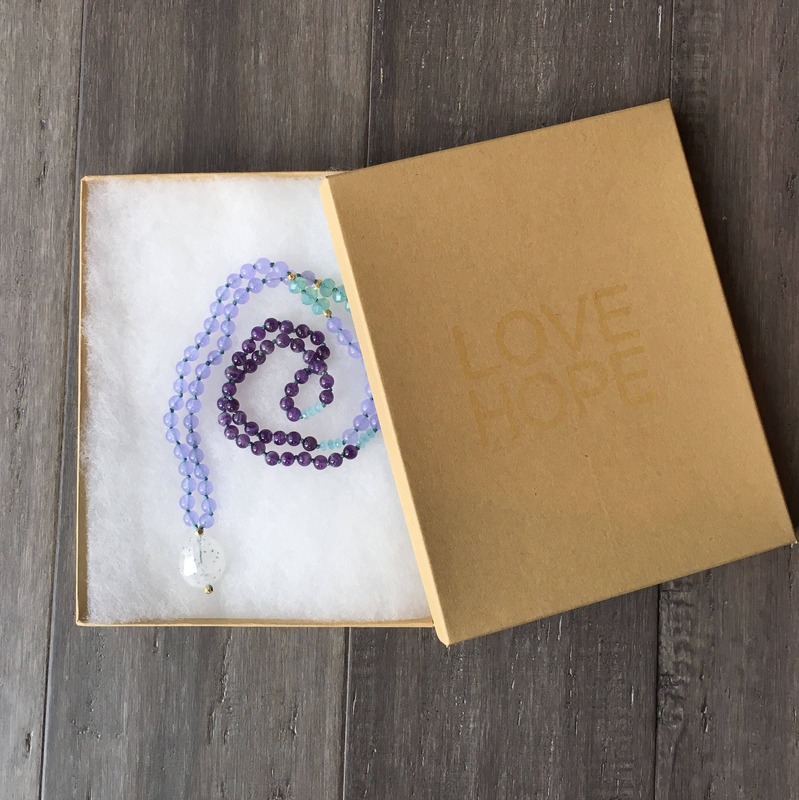 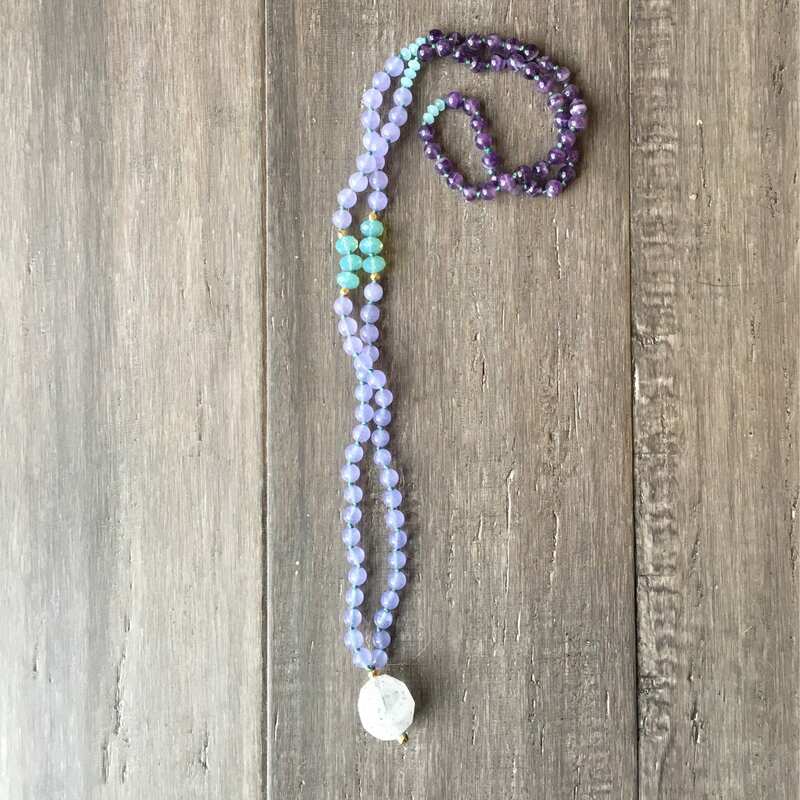 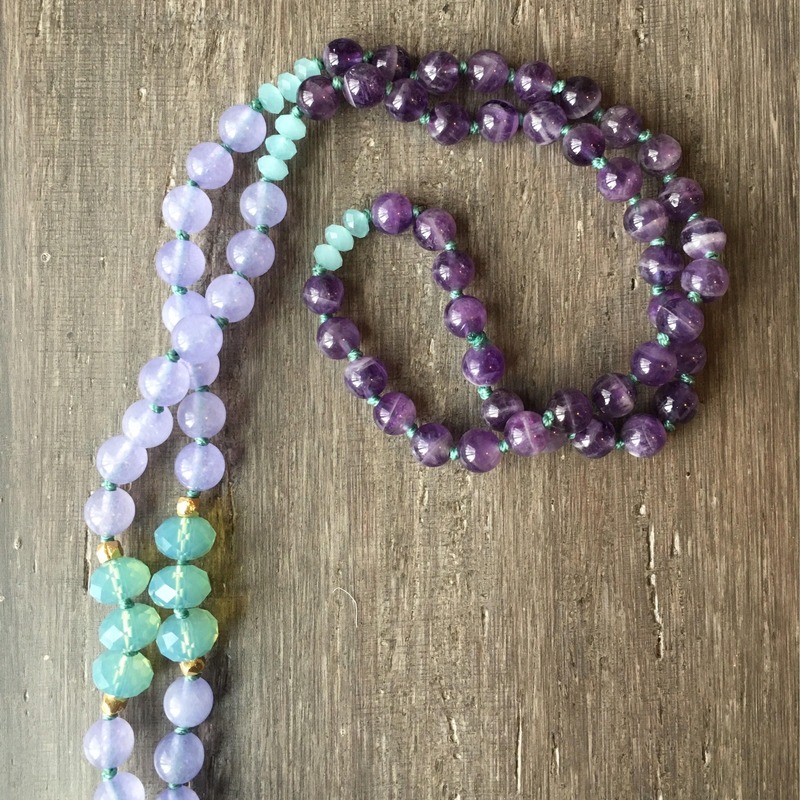 Connect to your Crown Chakra with this Amethyst Mala Necklace. 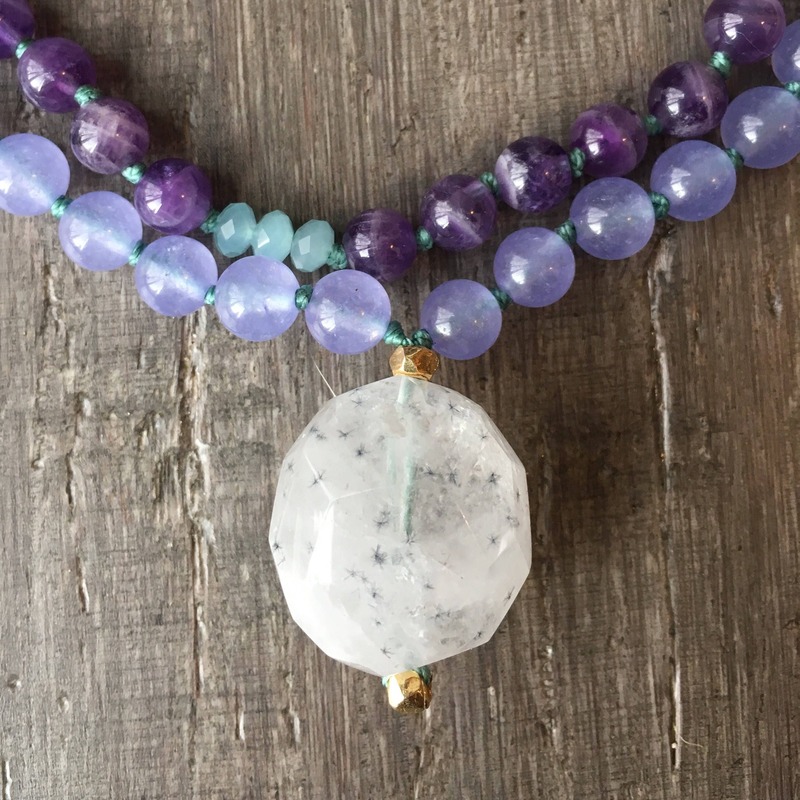 Amethyst connects to your Inner Voice and brings harmony. 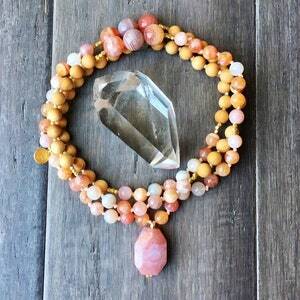 Crystal Quartz Guru bead helps to harmonize your Chakras. 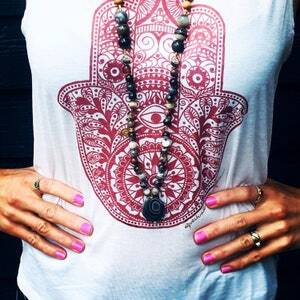 Drape over your shoulders and invite peace. 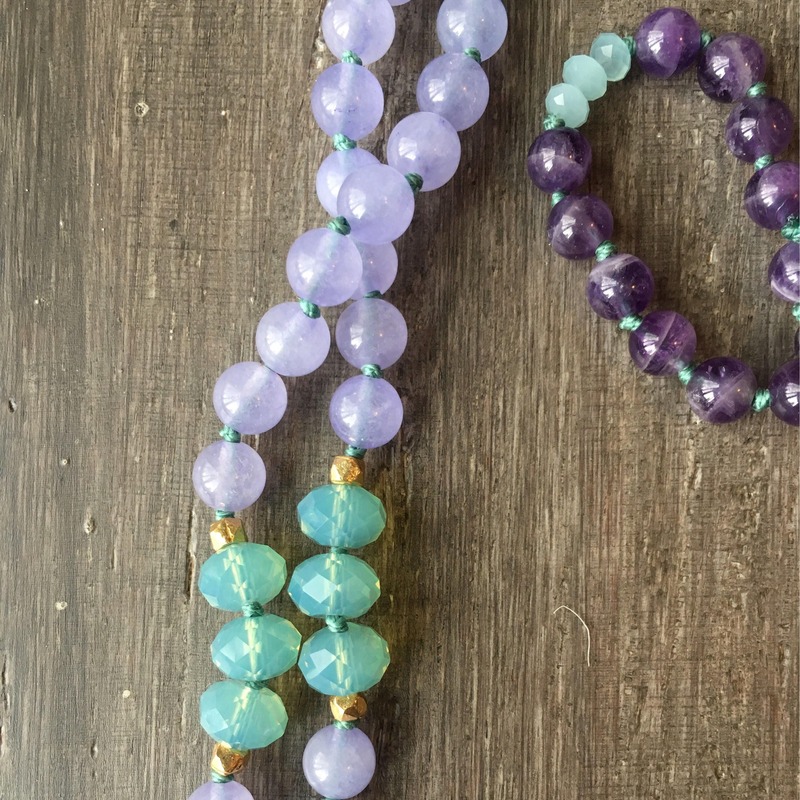 High quality gemstones, Amethyst helps to create calmness. 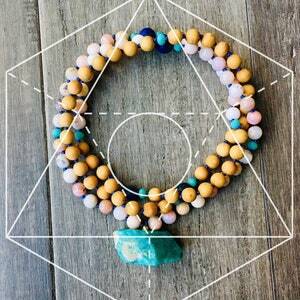 Crystal Guru Bead grounds your spirt, and brings your body into balance. 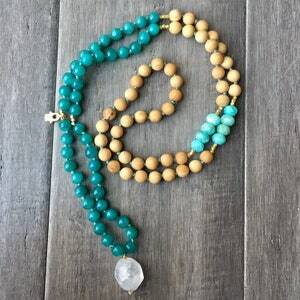 Be at peace.